How can I (temporarily) make the AW30-43 in a 960 hold a gear. 1st is too short, and 3rd is too long for skids in this thing, even in the snow. Is there is a way I can "trick" the solenoids into holding second gear via a switch? I'm not too bothered if it pisses off the TCU and throws codes as long as the car doesn't go into some lame limp home mode within seconds. 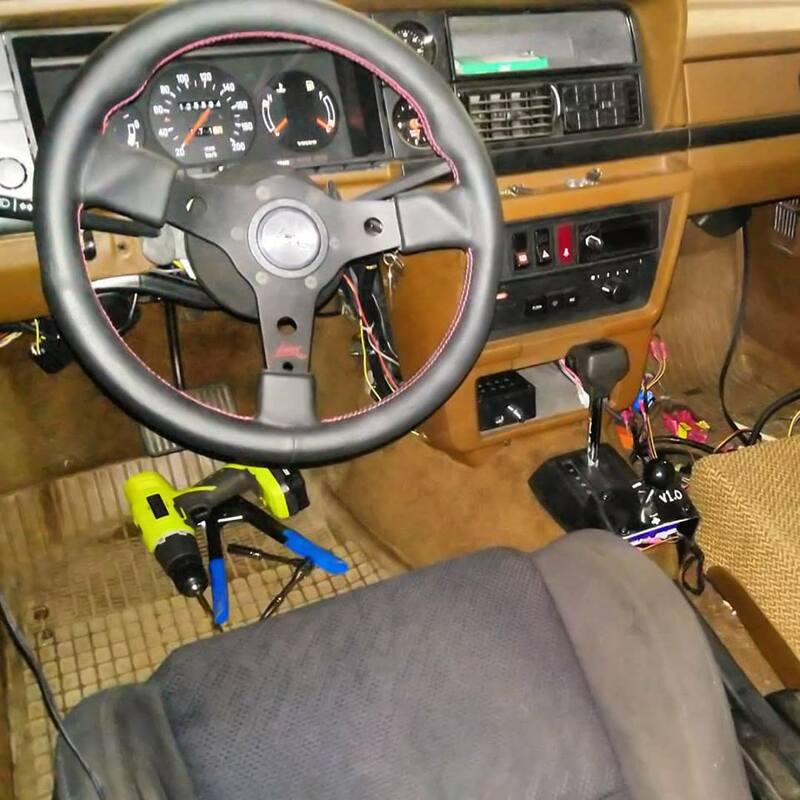 I've seen one guy built a paddle shifter, but I'm wondering if I can simply make a switch that I can use to hold second gear, until the switch is turned off. winter mode and manual 2? Well, if you unplug the TCU, it will allow you to hold 1, 2, and 4, if you move the shifter into the appropriate location, I believe. Or, if you want a bit more complicated, you can find the wires for the shift solenoids and run 12v on a switch to both SOL1 and SOL2 (12v to the solenoids, NOT the ecu pins). That would give you 2nd gear. The only options I have on the selector are D N 3 and L.
L locks it in first which is a bit more revvy than I'd like. * I'll have to verify these. So what you’re saying is that the transmission will hold certain gears based on the position of the PNP switch... if the signals from the TCU are missing? Sounds like it would be wise to lock the torque converter along with the solenoids. Last edited by 955IsAlive; 10-02-2018 at 11:25 PM..
Don't do this. The lockup is NOT strong, and is basically only good for use 4th/OD for cruising. Some of the other companies that use the AW3x have it lock in 3rd as well, but only for cruising purposes. It is possible. The Volvo shifter inside the car (for the RWD ones anyway) uses a rod linkage to the box, and the P2 cars all use a cable. You'd need to experiment with cables and such in order to see whether or not the P2 shifter uses the same detents as the RWD AW30-40. I built the paddle shift controller that you've referenced above (it's pretty easy), and instead of using paddles, I'm using a joystick from an arcade cabinet. The AW30-40 is hydraulic for the P/R/N gears, so when I shift to D, it starts off in 1st and I shift it up/down using the joystick. It'd be pretty simple to run the paddle controller in tandem with the stock TCU, all you'd need is a switch and some creative wiring. Arduino based AW30-40 / AW4 transmission control. Part 1: Figuring it all out. An arduino controller would be cool, but the POI box does everything I need it to do . Last edited by Broke4speed; 10-04-2018 at 08:44 PM..